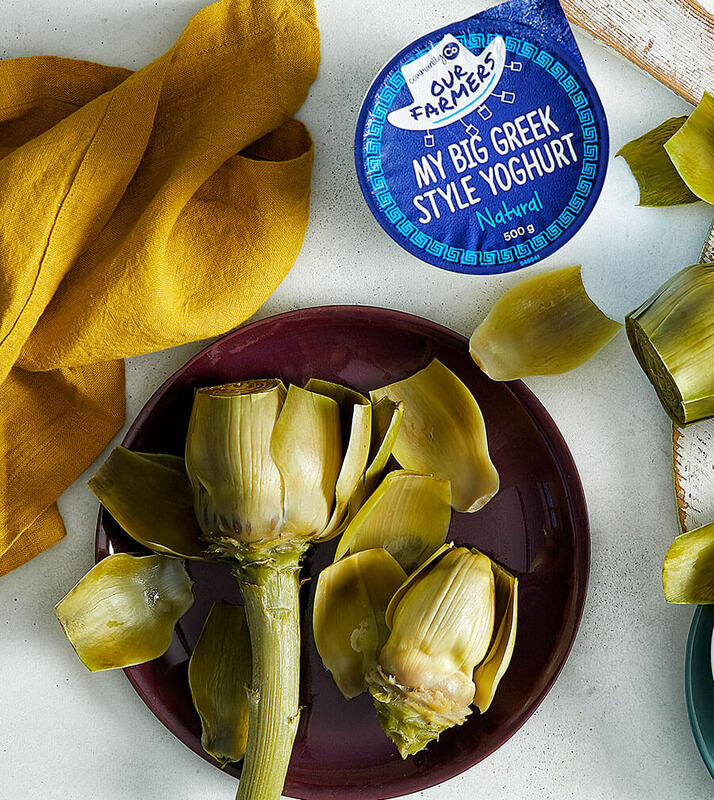 Even the pickiest eaters will gobble up artichokes thanks to this delicious dipping sauce! Cut the lemon in half. Remove any brown/tough outer leaves from the artichokes. Remove the artichoke stems and the pointy tops of leaves. Cut off about 3cm of the artichoke at the top. Rub exposed flesh with lemon. Fill a pot with about 5 cm of water and add the salt. Place artichokes in the pot. Cover and bring to a simmer, then reduce the heat. Cook for about 20 minutes. Check to see if the artichokes are done by pulling off a leaf – it should break away easily. If not, continue cooking and check every 5 minutes. Depending on the size of the artichoke, this can take up to 40 minutes. Once done, drain and set aside in a bowl. To make the dipping sauce, combine ingredients in a bowl and mix well. Serve artichokes with dipping sauce and enjoy!